In 2013, banks in South Korea were attacked through its networks and servers. One bank and around three television stations suddenly found themselves having frozen computer terminals. These halted financial transactions, affecting even the ordinary people as ATMs were rendered unusable. 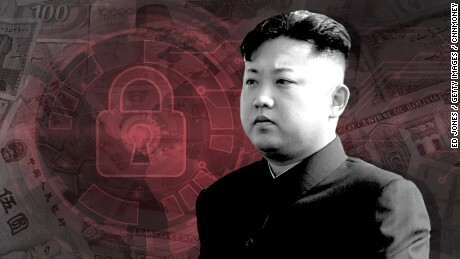 South Korea became yet another victim of cyber attacks. This time, the country’s top government officials were targeted. According to South Korea’s National Intelligence Service, the smartphones of these government officials were hacked. Critical information such as SMS and voice calls were compromised. Halfway around the world, the hacking of Sony Pictures Entertainment did not only send waves to the cyber community but also the entertainment industry. Confidential information from the company, including movie scripts, copies of entire films, even personal information of the employees, were leaked by a hacker group which called itself as “Guardians of Peace”. This was in retaliation to the then-upcoming release of the Sony Entertainment’s film “The Interview” which is a comedy film about journalists recruited by the CIA to assassinate North Korean Leader Kim Jong-Un. The parties, both private and government agencies, that investigated these cyber attacks all point to one country as the culprit: North Korea. During this time, when the world uses nuclear and economic threats to gain leverage over others, a new type of weapon is rising and it may be where we are most vulnerable. Various national defense agencies claim that North Korea is now using cyber attacks to make waves in the global political arena as well as to provide money for the cash-strapped nation. The cybersecurity world is now coming to accept that North Korea is home to some of the best hackers in the world. Professor Kim Heung-kwang, a defector from North Korea, claimed that the country’s army of hackers could be as many as 6,000. What we currently know is that the country has its own military academy which produces hundreds of hackers annually. The academy is situated in the region of Hyungsan, and specializes primarily in cyber warfare. Yet unconfirmed, South Korea’s Defense Agency claims that a certain Mirim College in the North produces graduates which are highly skilled in writing virus programs, hacking even the most secured servers, and writing weapons programs particularly in guiding systems. If weapons-guiding systems sound familiar, it may be because these are the systems used in controlling unmanned missiles which North Korea has been infamously testing for a long time now. These hackers started their careers as early as primary school. Highly intelligent kids, whom the government believes to have great potential in cyber warfare, are recruited as early as elementary. Although all these are still just accusations from governments and cyber security groups, one cannot say that these are baseless accusations. In fact, research from the cyber security firm Kaspersky Lab claims that the infamous hacking group “Lazarus” once, though very briefly, routed their signal to North Korea. The Lazarus group was responsible for a series of attacks on financial institutions last 2016. The largest attack was in February 2016 wherein $101 Million was transferred out of the Bangladesh central bank’s account at the New York Federal Reserve, and was fraudulently distributed to banks in Sri Lanka and the Philippines. Almost the same method of attack was used to victimize banks in Vietnam and Ecuador. A major piece of the code used by the Lazarus Group had large similarity with the code used in attacks on Sony and South Korea. The similarity of the code, as well as the signal coming from North Korea, led many to believe that the Lazarus Group has ties, if not are from, North Korea. The WannaCry virus, the ransomware which victimized hundreds of thousands of computers around the globe, including the U.S., is also thought to be from North Korea. Current U.S. President Donald Trump issued statements condemning the attack. Donald Trump news reports have already encouraged the public to strengthen their cyber defense and be vigilant in the midst of these attacks. For a cash-strapped country like North Korea, cyber warfare is one of the most economical and critical weapons out there. As North Korean officials continue to fight for leverage and legitimacy in the political arena, they are not only focused on launching missiles, but they are also looking at cyber warfare to gain presence in the political playing field.